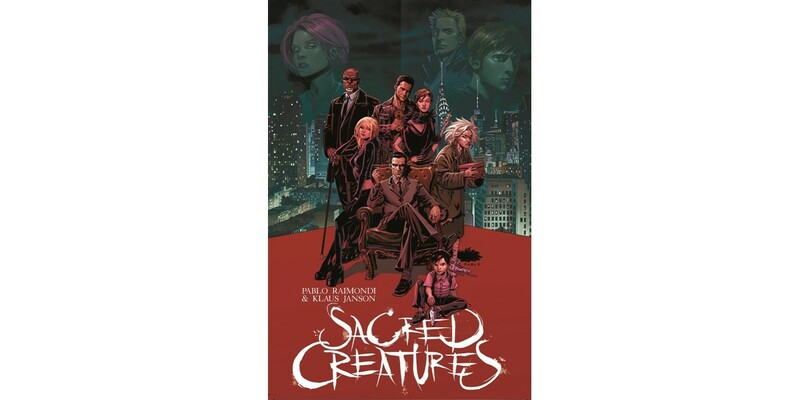 Comics legends Klaus Janson (Daredevil, Dark Knight Returns) and Pablo Raimondi (X-Factor, Book of Doom) come together for their first ever creator-owned series in SACRED CREATURES, VOL. 1 out this May. The trade paperback will collect issues #1-6 of the ongoing series. PORTLAND, OR, 3/23/2018 — Comics legends Klaus Janson (Daredevil, Dark Knight Returns) and Pablo Raimondi (X-Factor, Book of Doom) come together for their first ever creator-owned series in SACRED CREATURES, VOL. 1 out this May. The trade paperback will collect issues #1-6 of the ongoing series.